James Obst is a name that many in the poker world have become quite familiar with, one way or another. He made his mark on the virtual felt for years, long before his debut at the World Series of Poker in 2014. For many, success at online poker hasn't always led to success on poker's biggest stage at the WSOP, but the 26-year-old Obst's results inside the Rio have been exceptional, having made the final two tables of 11 events, with final table appearances in six of those. Obst finished runner-up in the $10,000 HORSE event last summer and and runner-up again less than two weeks ago in the $2,500 Mixed Triple Draw Lowball. Needless to say, he was eager to capture that elusive first bracelet. 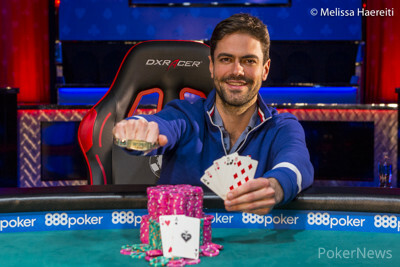 "I guess it’s a new experience to win a bracelet," he said after the win. "When you win one and it’s online I’m probably… I’m obviously not celebrating wildly like some people might, because that’s just my nature. Online when no one’s around you can probably be a bit more excited and get pumped up a bit more. But at the moment I’m just a bit… I don’t know how to process it just yet. It’s awesome and I’ll try to win another one before the series is out." The $10,000 Razz Championship drew 97 players, and Obst was sixth out of 38 survivors following Day 1. He navigated his way into the money on Day 2 second in chips, and bagged the chip lead entering the unofficial final table which began on Day 3. While not losing many big pots in the early to mid stages of the final table, Obst also wasn't gaining much traction. 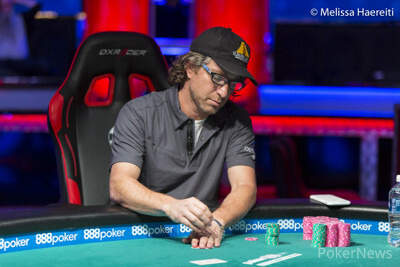 Eventual runner-up Eric Kurtzman caught the heater at the final table, holding about 75% of the chips with three players left. Obst and David "ODB" Baker found themselves both very short stacked during the three-handed battle, but Obst was able to win a crucial pot against his fellow short stack before Baker bowed out in third place. Down more than 3:1 in chips beginning heads-up play, Obst wasn't phased by the chip deficit and was focused on making a comeback. "He was a really interesting player. You know, he played very very tough on the final table. And I had to really adjust my gameplan against him. And you know, I tried a few different things. Acting really fast was a strategy that I guess I employed. I did manage to pick up a few things that helped me in terms of assessing his game throughout the final table, so when it got to heads up I just had to try to be as zoned in as possible, try to be flexible with my strategy, but also to be fast and put some pressure on my opponent when I’m that big of a chip underdog." Obst did everything he set out to do, as Kurtzman's sizable chip lead was gone within a level. 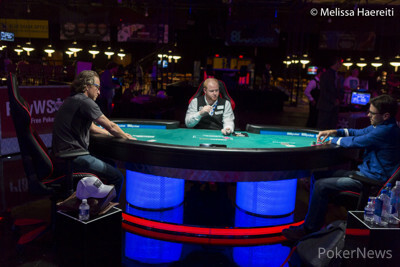 Obst won shortly thereafter, and is now sitting second in the WSOP Player of the Year race behind Pablo Mariz. "I’m interested in trying to contend for it (POY), but you know at the end of the day I’m not going to be multitabling events or doing anything crazy to try to win it. I’m trying to hold on to my money and make more of it." Eric Kurtzman came in for the full completion, and James Obst called. Obst check-called a bet from Kurtzman on fourth street, Kurtzman bet fifth street, Obst raised, Kurtzman called, and Kurtzman bet his remaining 30,000-ish on sixth street. Obst called and showed . "You have a wheel?" asked Kurtzman, as he looked across the table. "Ah," replied Kurtzman. "That's because I have all the fours." He showed . Obst paired up with an on seventh street, but Kurtzman couldn't catch up, as a officially ended his run in second place. James Obst called the bring-in of Eric Kurtzman. Obst bet on fourth and fifth streets, and Kurtzman called both. On sixth street, Obst bet again, and Kurtzman folded, leaving himself with less than 300,000. Eric Kurtzman was the bring-in, James Obst completed, and Kurtzman called. Kurtzman bet on fourth street, and Obst called. Obst bet with the lower pair on fifth street, Kurtzman raised, and Obst called. Obst bet on sixth and seventh streets, Kurtzman called both, and Obst tabled for a nine-six. Kurtzman mucked, giving Obst the pot. James Obst completed, and Eric Kurtzman called. On fourth street, Kurtzman bet, Obst raised, and Kurtzman called. Obst continued betting on fifth and sixth streets, and Kurtzman finally gave it up on sixth, awarding Obst the pot. James Obst was the bring-in, Eric Kurtzman completed, Obst raised, and Kurtzman called. Kurtzman had the on-board lead the rest of the way and bet every street, with Osbt calling him down. 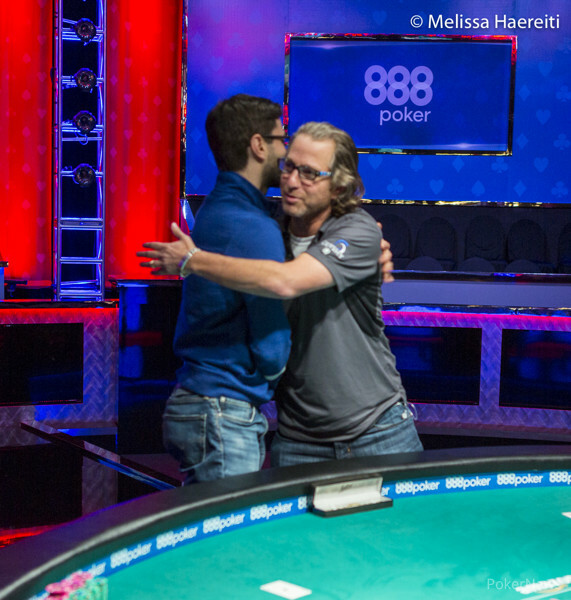 Kurtzman showed for a nine-seven, but Obst fanned for an eight-five to win the pot. Eric Kurtzman was the bring-in. Obst completed. Kurtzman raised, and Obst called. On fourth street, Obst bet, and Kurtzman called. On fifth, Obst checked. Kurtzman bet, and Obst called. On sixth, Obst checked again. Kurtzman bet, and Obst folded. The two players are currently within one big bet of each other.